Word Hindi is derived from Hindustani, which literally means Indian. A Hindu is a person who follows Hinduism. The word Hindu is derived from Sindhu which is another name for the river Indus that flows through the north-western part of Indian subcontinent. It was also made famous by an Arabic word al-Hind which refers to the people of Hindustan or India. Hindi originated from the Sauraseni Prakrit language. Different people have different views regarding the origin of the Hindi language. Hindi is a modified version of some local dialects such as Braj, Khari Boli and Awadhi. In the periods of Mughals and the Delhi Sultanate, Persian was the official language and hence Khari Boli adopted many words from Persian. Traditions, beliefs and philosophy of Hindus were laid in the Vedic Age between 2000 BC and 1500 BC. It is also believed that the Vedic religion had a great influence on India’s history, philosophy and culture. Vedas were also written in the Vedic age and these sacred books are still considered to be one of the most valuable assets to humanity. Hindi is written in Devanagri script. It has a set of 34 consonants, 12 vowels and more than 20 diacritics. Pahari, Garhwali, Bhojpuri, Bundeli, Maithili, Awadhi, Khari Boli, Bambaiya, Brij Bhasha and Bihari are its various dialects. Hindi literature is divided into four forms: Bhakti – which is devotional; Shringar – relating to beauty; Veer-Gatha – on bravery of warriors and Adhunik - related to modern science. Hinduism covers various beliefs such as monotheism, pantheism, monism and atheism. Vedas and Upanishads are the most important scriptures in Hinduism. This body of immense knowledge was transmitted orally for many centuries before these were written in the Vedic Age. These are categorised into two classes: Shruti and Smriti (sound and smriti respectively), and are written in the Sanskrit language. Hindi is the official language of India. It is spoken in northern and central India. Outside India Hindi is spoken in Pakistan, Fiji, and Mauritius. Other than India, Nepal and Mauritius claim Hindu majorities. Most Hindus speak Hindi but all Hindi speakers are not Hindus. Sikhs, Parsis and Muslims also speak Hindi. Similarly many Hindus don’t speak Hindi. Hindus from different regions speak different languages such as Bengali, Oriya, Kannada, Gujarati, Telugu, Marathi, and Nepali. Hindi is derived from Hindustani which literally means Indian. Hindi originated from Sauraseni Prakrit. In the periods of Mughals and Delhi Sultanate, Persian was the official language and hence Khari Boli adopted many words from Persian. Hindi is the official language of India. Outside India Hindi is spoken in Pakistan, Fiji, and Mauritius. Sikhs, Parsis and Muslims also speak Hindi. Hindu is a person who follows Hinduism. Hindu word is derived from Sindhu which is another name for river Indus. 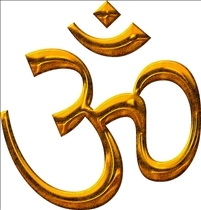 Hinduism is derived from Vedic religion. Vedic religion had great influence on India’s history, philosophy and culture. Hinduism covers various beliefs such as monotheism, pantheism, monism and atheism. Other than India, Nepal and Mauritius have Hindu majorities. Which one includes more people? Hindu Wedding vs. Muslim Wedding: What's the difference?